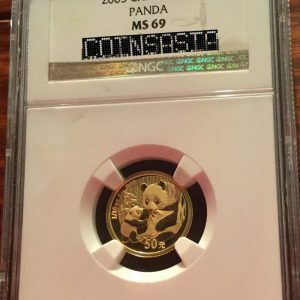 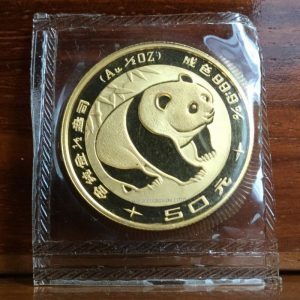 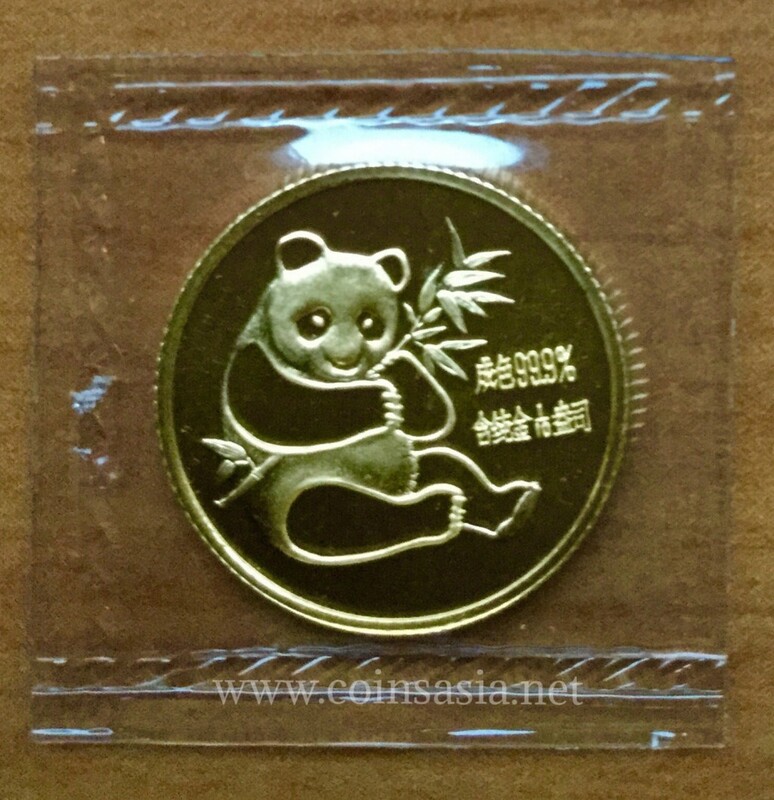 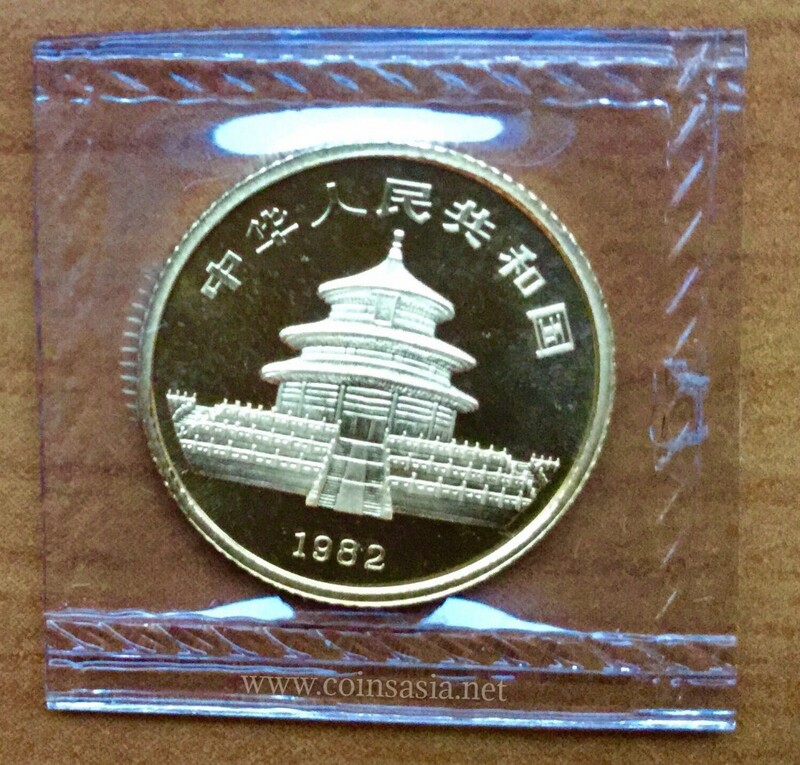 The 1982 China Gold 1/10th oz Panda Coin is of the inaugural Chinese Gold Panda issues. 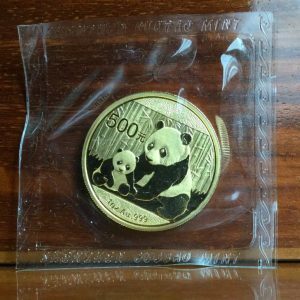 The immensely popular Gold Panda collectable series extends from 1982 till present day. 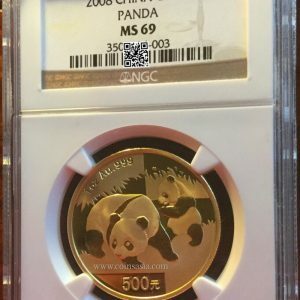 Issues from this series are highly sought after, in particular the early Gold Pandas as many were issued in minimal quantities. 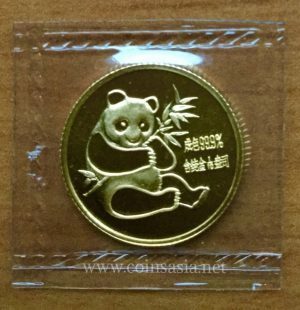 These 1982 China Gold 1/10th oz Panda Coin pieces are part of the 1982 Gold Panda 4 coin set issue, consisting of 1 ounce, 1/2 ounce, 1/4 ounce and 1/10 ounce coins. 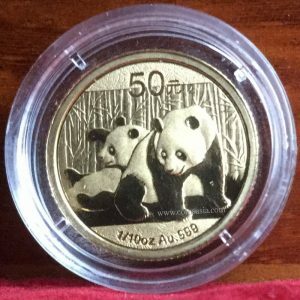 Incidentally, although this 1982 China Gold 1/10th oz Panda coin is the highest mintage in the set issue. 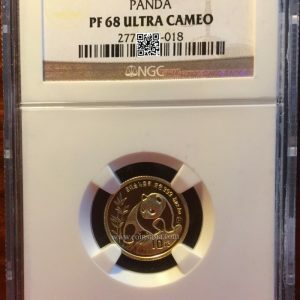 Many of these small 1/10th oz Gold issues were turned into jewelery pieces and their present day mintage is much smaller than original planned mintage. 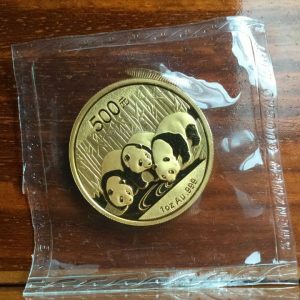 Naturally being of the first Gold Panda issues. 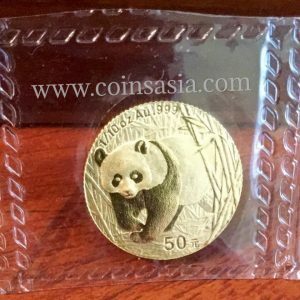 These 1982 Chinese Gold Panda 1/10th oz coins look worthy collectables well into the future.